The Modernist Journals Project, a joint effort by Brown University and the University of Tulsa, has been awarded a $332,823 grant from the National Endowment for the Humanities to expand its digital archive of rare periodicals. PROVIDENCE, R.I. — The Modernist Journals Project (MJP), a joint effort of Brown and the University of Tulsa, has been awarded a grant of $332,823 from the National Endowment for the Humanities (NEH) to expand its work of digitizing rare periodicals. The MJP was launched at Brown in 1995 as a Web site of digitized periodicals connected to the rise of modernism in the English-speaking world from 1890 to 1922. 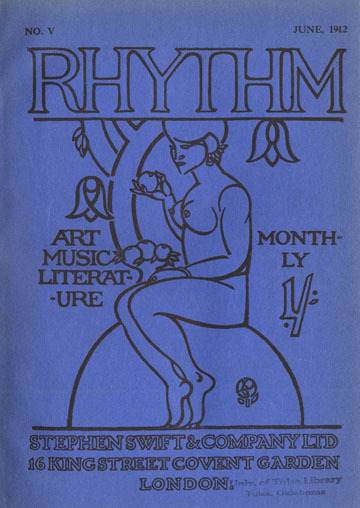 The site includes searchable editions of seven modernist journals: The New Age (1907–1922), Dana (1904-1905), Rhythm (1911-13), Blast (1914-15), The Owl (1915-1923), The Blue Review (1913), and The Tyro (1921-1922). The MJP also features digitized publications of books, biographical sketches of more than 1,000 artists, images of their work, and a database of nearly 600 English language periodicals that operated in this period. The digital archive, managed by the Center for Digital Initiatives in the University’s library, receives approximately 10,000 visits per day. However, the study of modernism through periodicals is somewhat hampered, due to “the deplorable state of the archive that fuels it,” said Robert Scholes, director of the MJP at Brown. He explained that complete runs of these magazines are scarce and scattered in a few libraries around the world. Moreover, even those runs are incomplete due to a frequent practice among libraries of stripping advertising from the pages of the periodicals before binding them into volumes. “No account of modernism and its place within the larger print culture of modernity is complete without attention to magazine advertising,” Scholes said. 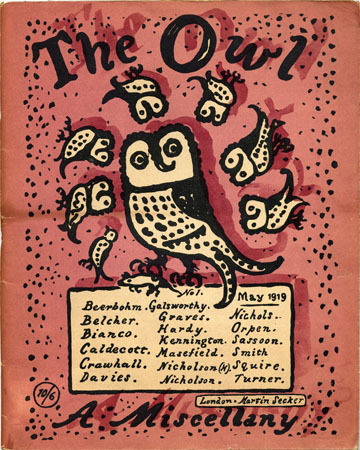 Under the NEH grant, Brown will receive $168,430 and Tulsa $164,393 over a two-year period to add to the archive digital editions of the English Review, as edited in London by Ford Madox Ford from 1908 to 1910; Poetry: a Magazine of Verse from its founding in Chicago in 1912 to 1922; and Scribner's Magazine of New York for the period 1910 to 1922. For this project, the Princeton University Library is making available its collection of original issues of Scribner's, with all advertising included, and the University of Chicago is providing original issues of Poetry, supplemented, as necessary, by copies from Tulsa’s McFarlin Library. The digital edition of The English Review will be based on issues owned by the MJP, supplemented by issues from Tulsa and Princeton. “We believe this represents a new level of interinstitutional cooperation that will be a model for the effort required to fill the hole in the archive,” said Scholes. Clifford Wulfman, technical director of the MJP and manager of the site at Brown, explained that the work of the MJP has become even more critical with recent advances in mass digitization of printed materials. This is the second grant the Modernist Journals Project has received from the NEH. The MJP received $137,749 in 2003 to complete its first major project: a digital edition of a London weekly magazine, The New Age, that helped to shape modernism in literature and the arts from 1907 to 1922 under the direction of its editor A.R. Orage. The University of Tulsa joined the MJP at the end of that grant period. For more information about the Modern Journals Project, visit modjourn.org.